Come September 30, we will still have 88 degree days that feel like 93, and it may stay that way deep into October. The only thing you can do fashion wise is change up your color scheme and swap your sandals for booties (because it’s the closest thing to a boot without being crazy hot). 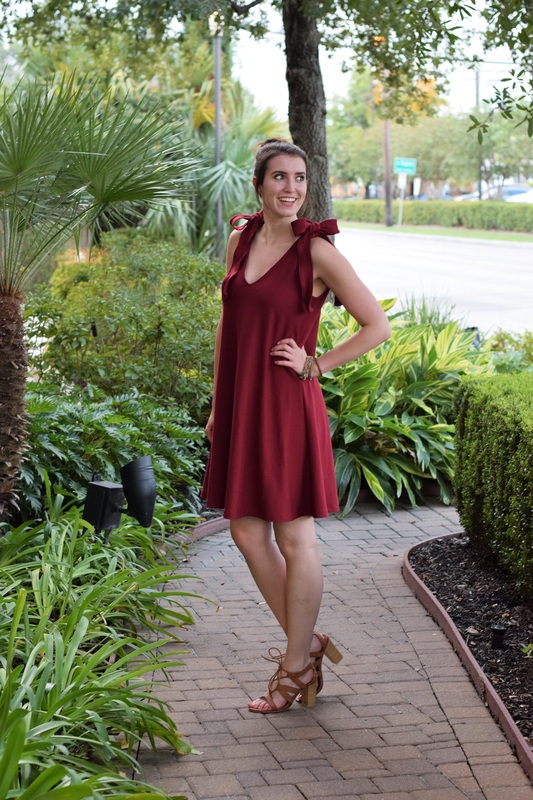 For this Fall, I wanted to incorporate the trend of bow tie sleeves into a dress, but make it in a beautiful burgundy color that I have come to favor each year the season changes… “changes”. This ponte de roma stretch knit from Fabric Wholesale Direct is such good quality. It has the perfect drape and is thick so that it doesn’t stick to you and show every line underneath your dress. 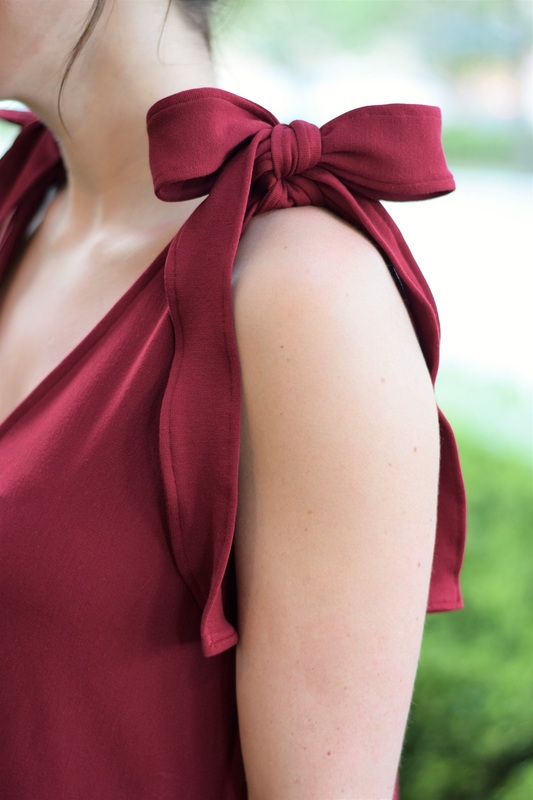 An easy swing style has become the one I reach for the most on the weekends, and I love that the v-neck and bow tie details on the shoulders of this dress make it a little more special to help it transition from day to night. 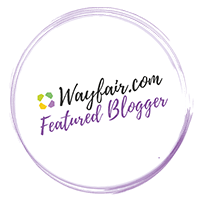 Get the easy sewing tutorial over on Fabric Wholesale Direct’s site! Really, this one only took me a couple of hours! The bow detail and color is perfect! Thank you so much! I’m loving the bow trend right now!